Fence building supplies that last a lifetime. Big Heel Fasteners are designed to stay put. 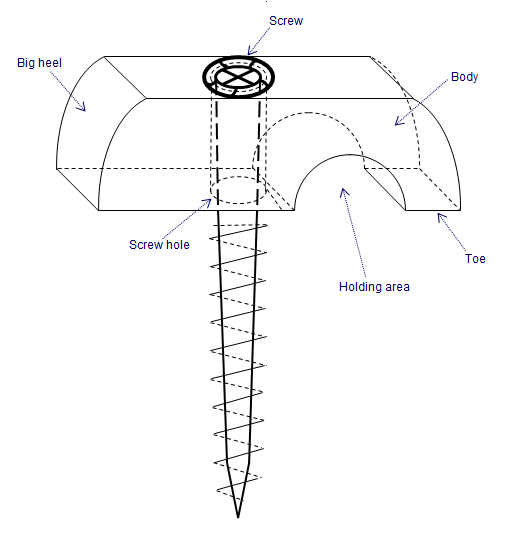 Screws provide a secure grip in the post and are built to withstand heavy pressure from livestock. Unlike nails or staples, these wire fasteners won’t pull out and have many uses. The fastener stays in because its wide body has more surface on the wire than a staple. The high, thick heel applies pressure on the holding area of the toe for a tight grip, and the pressure on the heel is transferred to the toe. 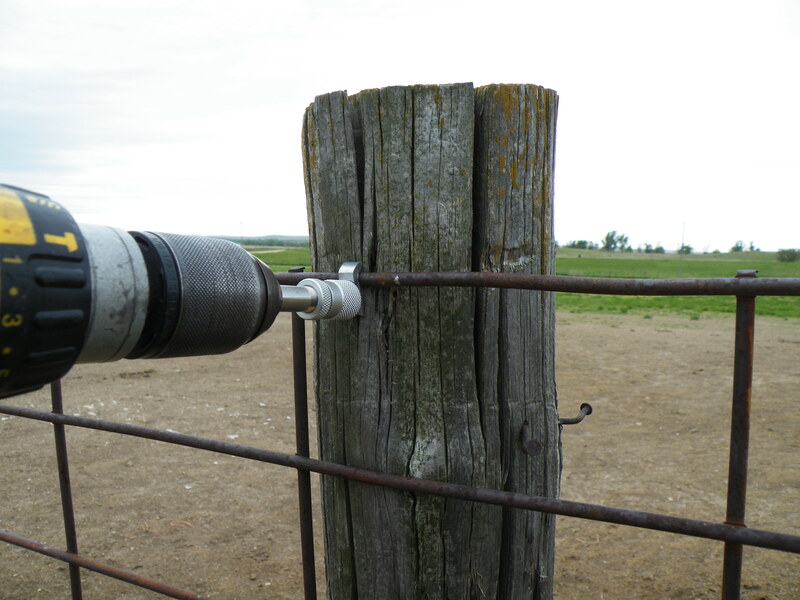 It keeps the wire so tight that it’ll hold livestock from both sides of the fence. Each fastener consists of a 1” long, 1/4″ wide aluminum alloy clip, with a slot near the toe that holds the wire, and a self-tapping, corrosion-coated Torx® screw. 1. Hold the wire against the post in its desired position. 2. Place the fastener over the wire against the post’s surface, with the wire in the holding area. 3. Use an electric drill to screw the fasteners to hold the post firmly in place. Be sure to drill slowly and do not over tighten. A separate fastener will be needed for each item to be fastened. Most 18V drills will drive 250-300 Big Heel Fasteners per charge. 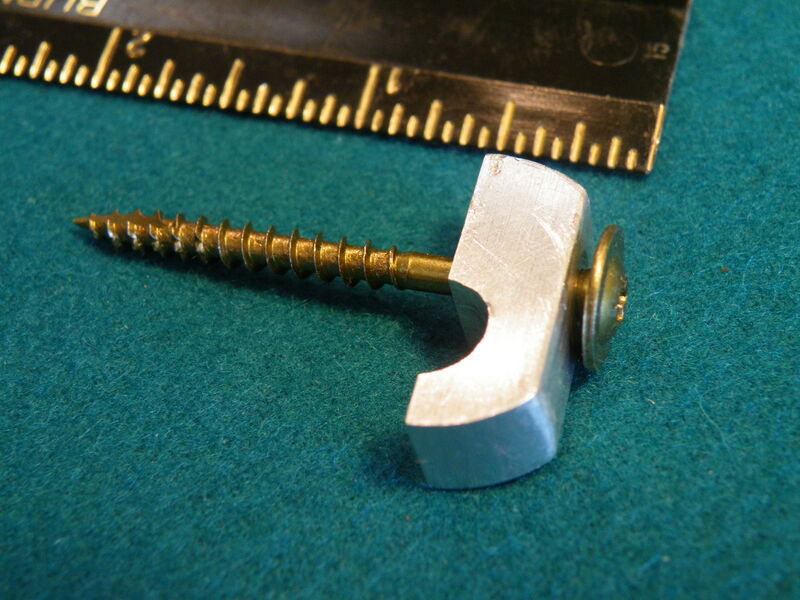 Only one screw is required, allowing quick use of the fastener, saving material and installation labor. Big Heel Fasteners will last a very long time and provides a quick, simple and inexpensive way to secure wires, cables, pipes and conduits. Use our online selection wizard for help selecting the right fence fastener and then conveniently place your order online. Or, give us a call at 785-483-1685 and we’ll talk you through it.